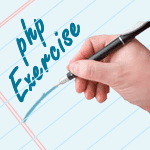 Write a PHP script to find the first character that is different between two strings. 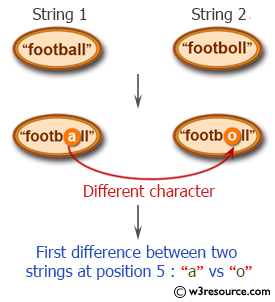 First difference between two strings at position 5: "a" vs "o"
Previous: Write a PHP script to replace the first 'the' of the following string with 'That'. 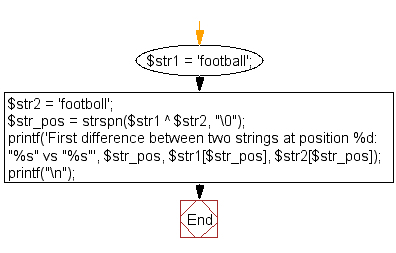 Next: Write a PHP script to put a string in an array.